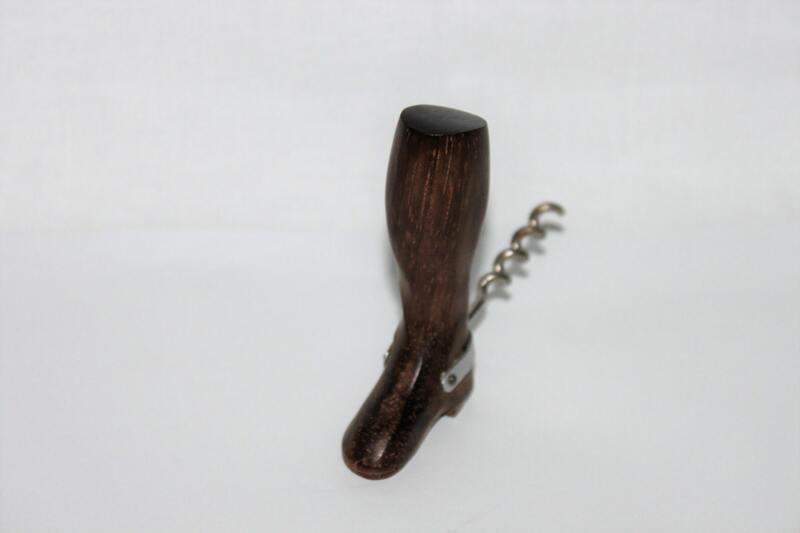 We have for sale a Vintage Figural Wood Carved Riding Boot Corkscrew. 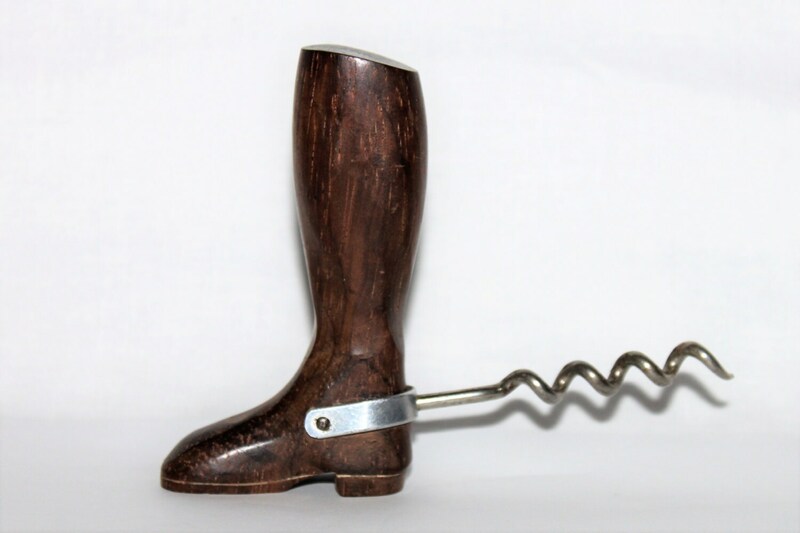 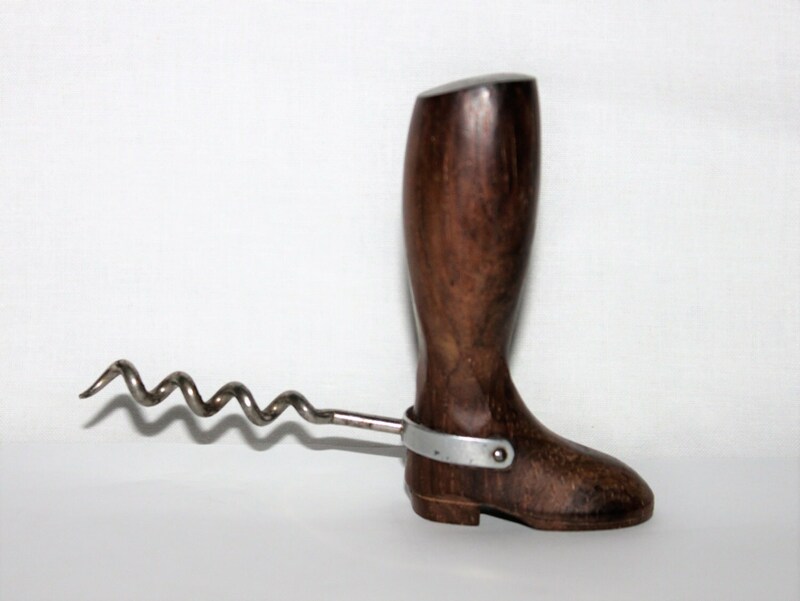 This is a wonderful hand carved wooden boot with a steel spur shaped corkscrew. 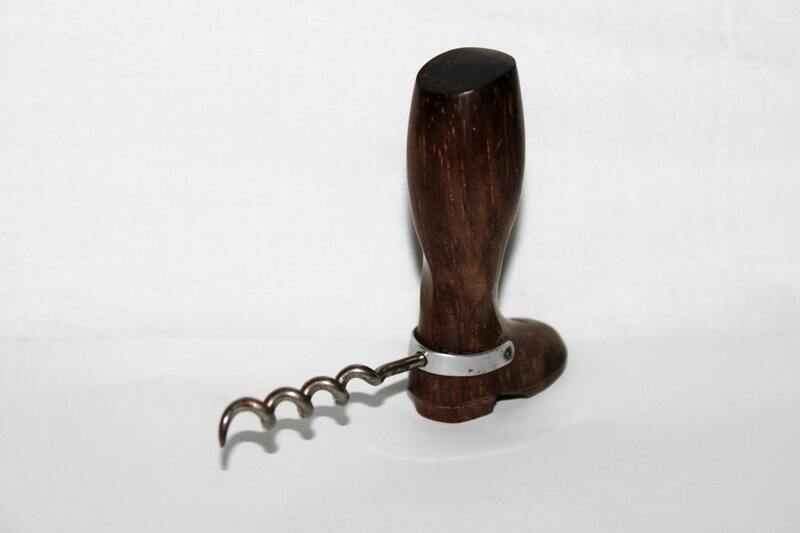 Carved of teak wood it is in very nice condition most likely never used.